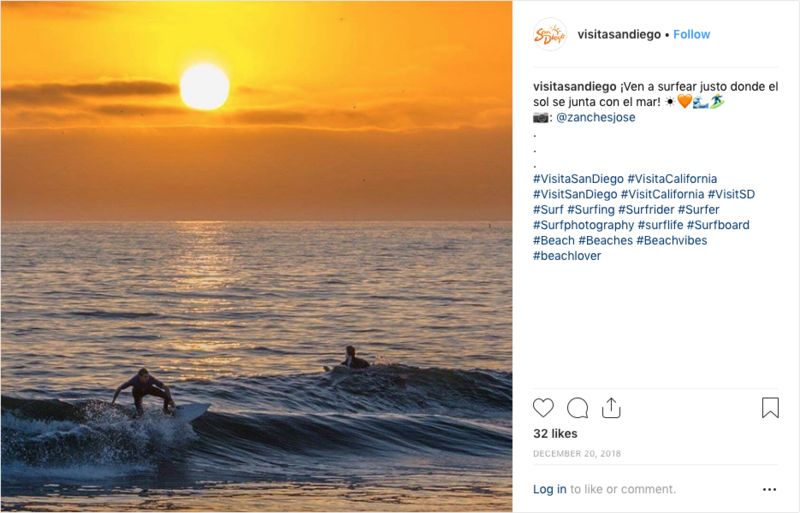 Below are the December 2018 sales & marketing highlights from various departments from the San Diego Tourism Authority. SDTA continued to ramp up consumer direct efforts in China during December. 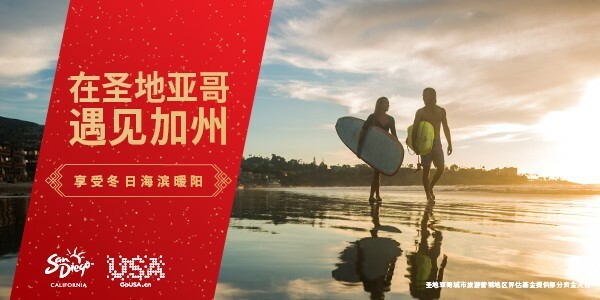 The Chinese New Year promotion launched on Baidu with keyword search and display tactics while “Always On” keyword search and display advertising extended beyond the promotional period. 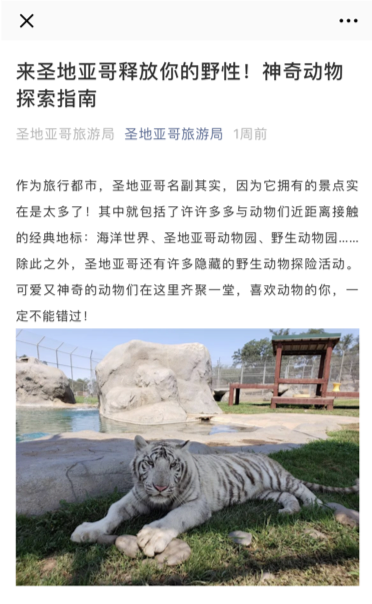 While flight one of SDTA’s WeChat Acquisition ended in December, SDTA launched their second livestream with paid promotion through San Diego’s Weibo account. The December livestream focused on North Park, where local community collaboration is shown through the craft beer scene, culinary scene and local shops. The livestream garnered 68,000 Views and more than 90,000 social engagements. During December, just over $39,700 was spent in China which includes BrandUSA and affinity partners contribution, delivering 22.3 million impressions. The National Geographic initiative continued with the four-part miniseries on Balboa Park and San Diego airing in Canada. 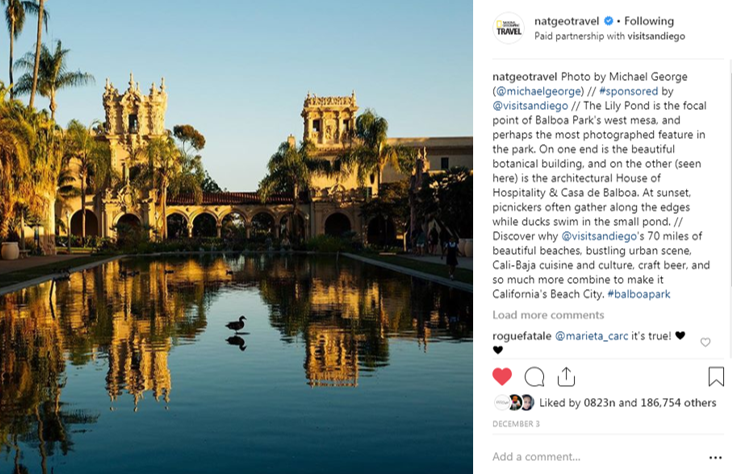 In addition, National Geographic Traveler’s Instagram account did a successful Balboa Park takeover on Dec. 3, with one of the images – that of the Lily Pond – garnering more than 186,000 likes. In addition, the SDTA Cultural Tourism team continued to work with National Geographic on finalizing the broadcast campaign and miniseries in the United Kingdom. Leverage National Geographic’s social media audiences, which includes 4.7 million Facebook followers, 22.3 million Instagram followers, and 6.6 million Twitter followers, to drive tune-in to the broadcast series and digital content. 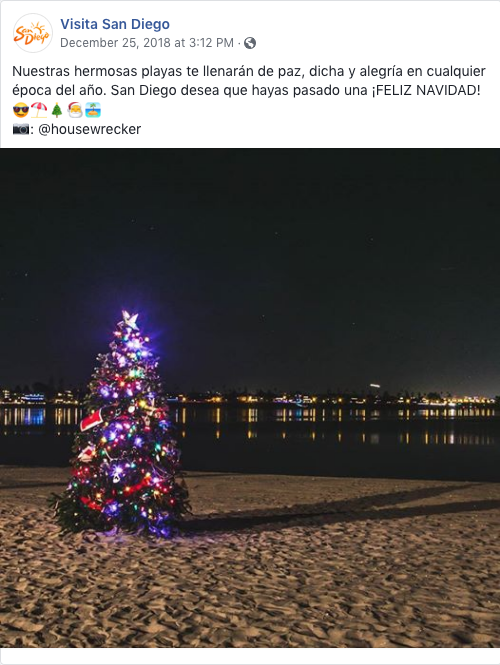 The Cultural Tourism team also assisted in the coordination and communication of December Nights, which was held on Dec. 7 and 8 in Balboa Park. 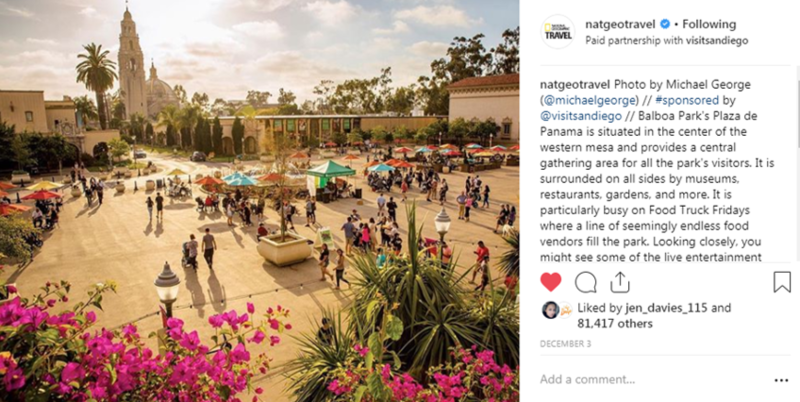 In addition, the Cultural Tourism team, working with other organizations in the park, has implemented an information gathering system that has helped to increase the number of Balboa Park events and offers on sandiego.org. Below is a graph showing that growth. Special events in November focused on Holidays, Holiday Bowl, New Years. Web traffic for December included 733,868 user sessions between the desktop and mobile websites (excluding Travel Blog). The team posted a total of 89 Tweets, 22 Facebook posts, and 17 Instagram posts, and 4 Instagram Stories through our social channels. There were 8 blogs and 6 consumer emails published this month. 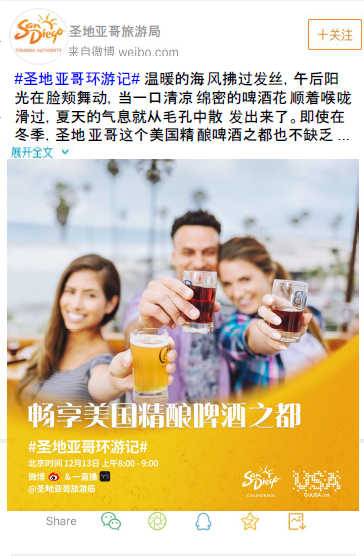 Overall sessions to the China website (sandiego.com.cn) was 49,052. 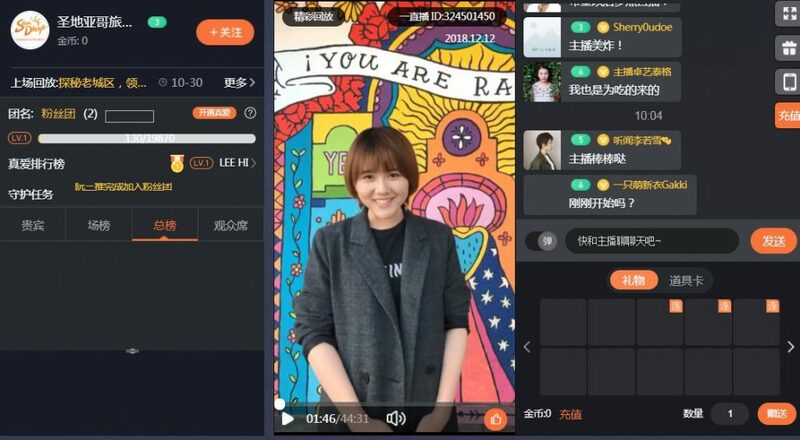 The social media team, in partnership with Hylink, published a total of 32 Weibo posts, 4 WeChat posts, and one live stream Yizhibo in North Park. Overall traffic to the Mexico page was 481 unique users. The social media team, in partnership with PR Central, published a total of 12 Facebook posts and 7 Instagram posts. Overall traffic to the Japan page was 2,080 unique users. The social media team, in partnership with aviaREPs, published a total of 18 Facebook posts. LinkedIn grew by 0.3% from last month to 7,304 followers, earning more than 6,775 impressions. Year-over-Year the LinkedIn Audience grew by 19%. 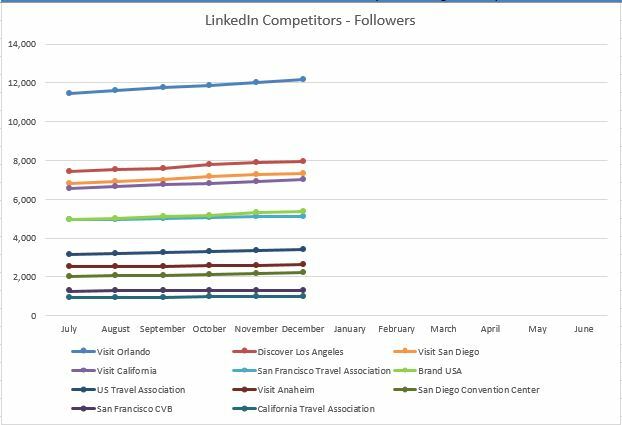 @SDTAConnect Twitter base grew by 9.4% YoY to 3,913 followers. There were 10 tweets during the month. 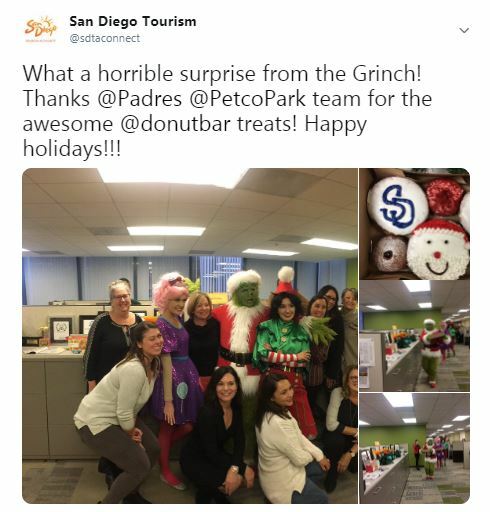 This month, the tweet with the most exposure was a holiday treat from SDTA Member organizations, the San Diego Padres & Petco Park. Photos of donuts always do well on social media! This was also the tweet with the most engagement. 5 new Members joined in December adding $2,750 in annual dues revenue. 13 new and existing Members attended the November New Member Inspiration session to learn how to maximize benefits. $ 103,288 was earned in new ad contracts. The Marketing Services and Partnerships teams collaborated on a Social Media Workshop aboard the Maritime Museum. 50 Members attended the session with Co-Founder & CMO of School of Bots, Natasha Takahashi to learn more about utilizing chatbots. The event was the fourth and final installment of the 2018 series, sponsored by USD’s Continuing & Professional Education department. The Hotel Meetings Sales team closed the calendar year out strong bringing 84 meetings to San Diego, representing 52,684 total room nights. Fiscal year to date, the team has converted 349 bookings and 193,223 total room nights for the destination. In December, our sales and events team had a busy holiday season attending 4 tradeshows; Connect DC in Washington DC, Connect Southwest in Reno, CalSAE Seasonal Spectacular in Sacramento, and Holiday Showcase in Chicago. Prior to Holiday Showcase, the team conducted another successful annual Chicago Holiday Breakfast event with over 60 meeting planners and decision makers in attendance. From these customer-facing tradeshows and events, the team met with a combined 350 meeting planners, generating 26 leads, representing 14,355 room nights. 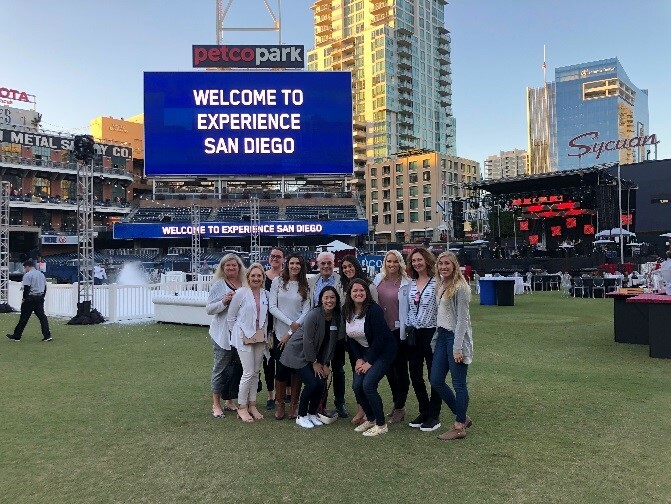 As part of our Customer Acquisition program to bring new meeting planners to San Diego, in partnership with AZA Events, we conducted a successful fam trip with 11 corporate planners, mainly from Eastern Canada. 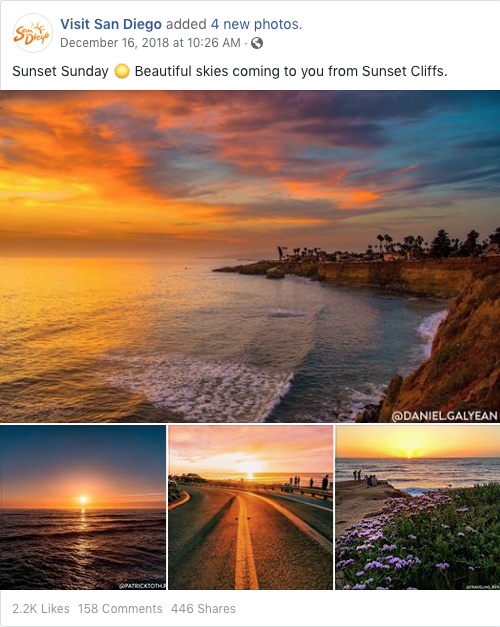 The dates coincided with the annual SITE SoCal event at the Loews Coronado Bay Resort and Spa and Hotel Del Coronado, making the fam even more memorable. 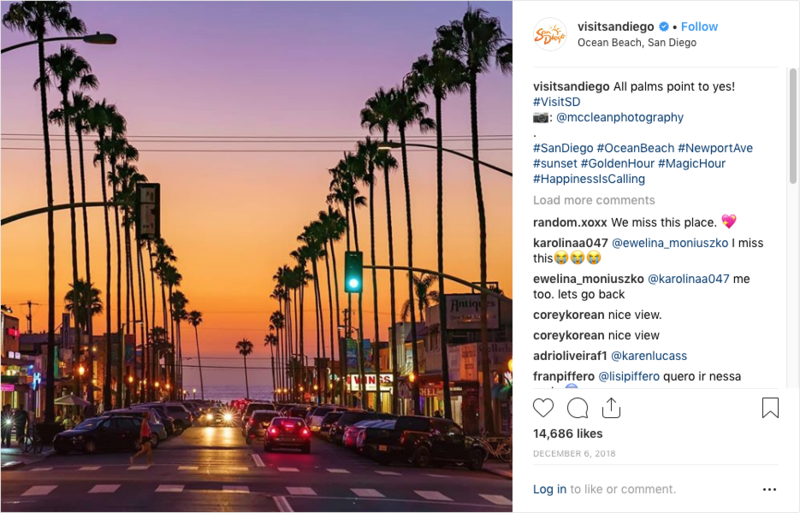 These planners represent high-end corporate and incentive accounts with many experiencing San Diego for the first time. The Site Experience team had a good December, with 14 client site experiences, creating exposure to 46 hotels and 16 venues. In December, Director of Communications Candice Eley traveled to Washington, DC to attend a meeting of US Travel’s Communications Advisory Committee. The day-long meeting gathered communications leaders from the U.S.’s top DMO to discuss issues facing travel industry public relations. While in DC, Ms. Eley also met with editors at National Geographic Traveler and The Washington Post to discuss future editorial travel coverage of San Diego. Communications hosted a number of media from around the world, including outlets from Australia, China, France, India, and Italy. 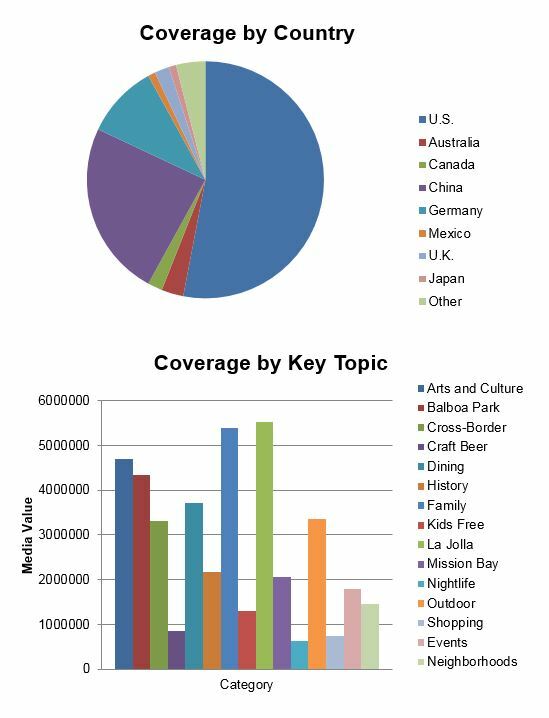 Key coverage received in December included MSN Latino, Travel + Leisure magazine, Elite Traveler magazine MODE magazine (China) and more. The Tourism Development team distributed 13 referrals and 2 leads to member businesses from travel trade clients. 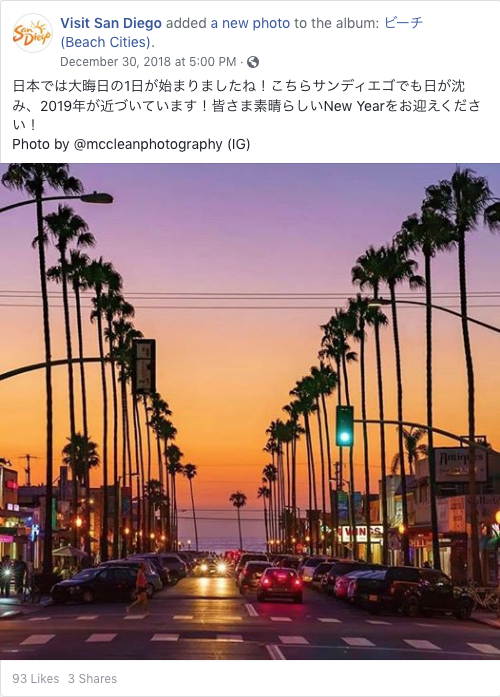 The team certified 42 new San Diego Specialists agents from USA, Mexico, UK, Japan and Germany who account for approximately 868 visitors to San Diego – generating approximately 699 annual room nights. On December 2nd, SDTA’s Germany Representation Company attended the VUSA 360 North America Day consumer event on behalf of San Diego in Bergheim, Germany. The team presented a 5-minute PowerPoint presentation on the destination and then had the opportunity to meet and discuss San Diego with nearly 700 attendees. 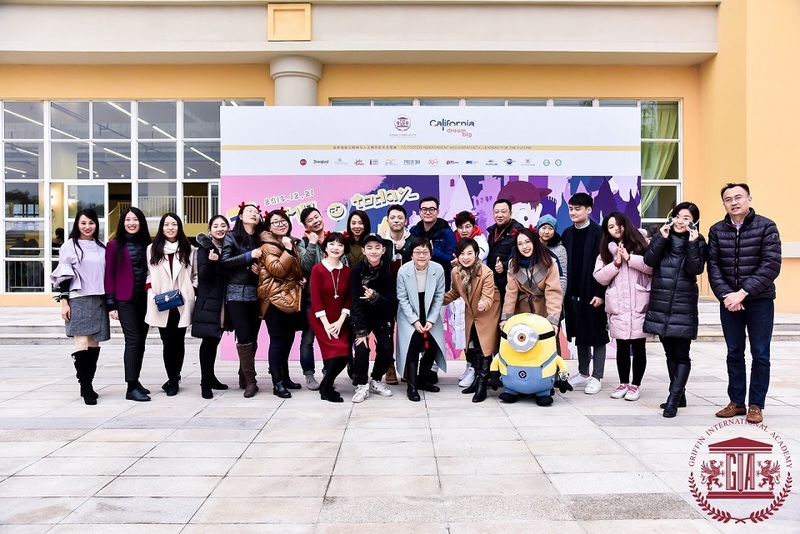 Jacky Zhu, Travel Trade Representative in Shanghai, participated in Club California Product Development Series in Chongqing and Chengdu from December 19th to 21st. In each city, about ten key tour operators, wholesalers, and OTAs in the region joined the sessions where Jacky delivered the destination presentations and met with each of them on One-on-one meetings. 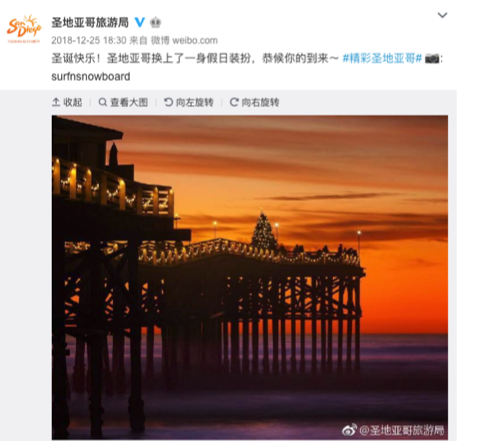 During the month of December, SDTA organized 2 Group itineraries for FAMs, 12 were with the Hainan Airlines group from China, and 6 from Visit California Canada Luxury FAM. 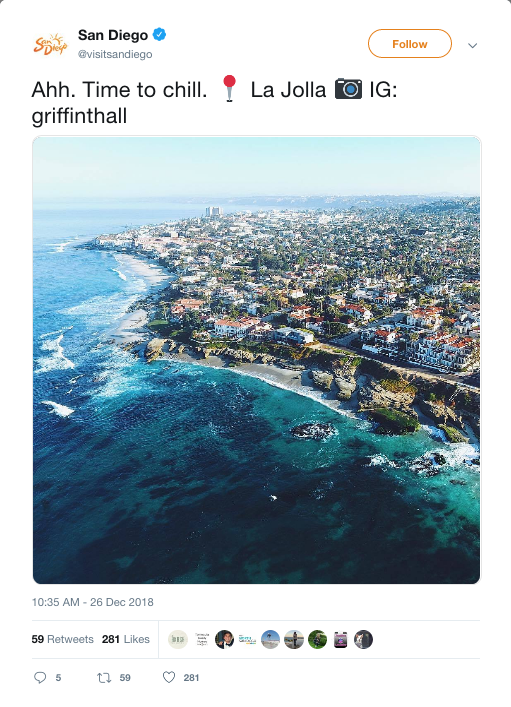 2 product managers from the UK were involved in extended sites of San Diego and Southern CA, with an in-depth visit of local attractions, hotels, and unique activities. 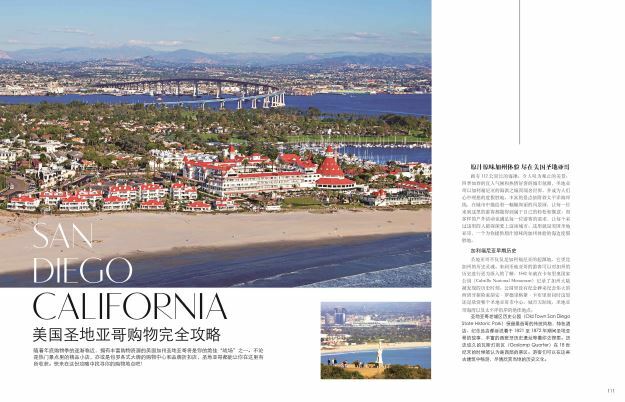 There were 23 product buyers total hosted to San Diego FAMs from China, Canada, Japan, UK, and Mexico.